Because of these expiring patents, many new companies and technology have been allowed to be developed and sold. Things are changing rapidly right now, and it seems like everyday there is a better 3D printer available for less money. I have experience dating back to 2007 with 3D printing, but I only purchased my first 3D printer about 1 year ago. I went with the Cube 3D printer because it was marketed as the easiest to use and I believed it. What I have learned is that all 3D printers have a learning curve and that 3D printing in general is not “plug and play”. It took me about 1-2 months to get my Cube to print properly. What I like about it is that it has duel extruder, so it can print in 2 colors in one job. Or I can in one color and use the other extruder to make the supports. This printer also has a water soluable support material. What this means is that when the print is done, I can simply place the part in a bucket of water and the supports will wash away in an hour. Compare this to a single extruder 3D printer, where the support material and main material are the same. 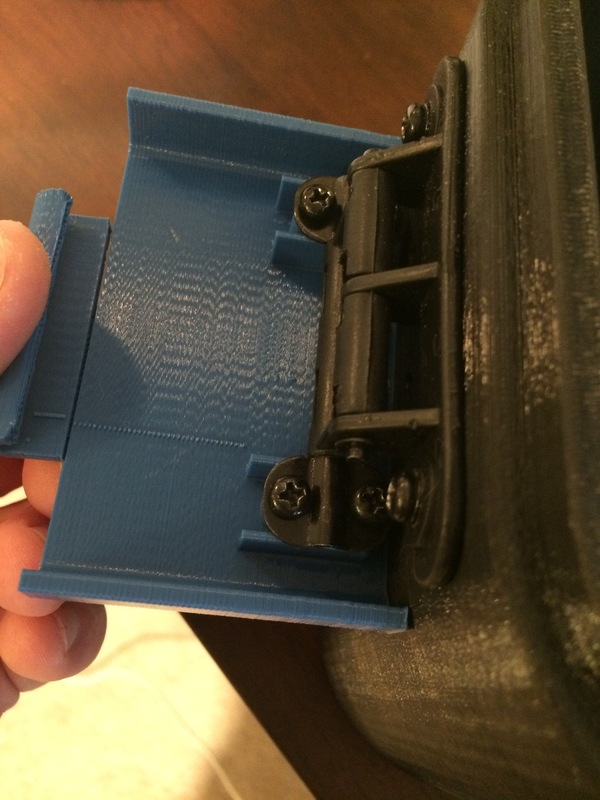 In this case, you have to manually remove supports, which can be a difficult and time consuming process. What I don’t like about this printer is that the build volume is only 6 inches cubed and the material is overpriced (because you have to buy special cartridges). A good friend and business partner, Justin Shook (High Quality, Low Price 3D Printing Services) has an Ultimaker Extended. I learned a lot from watching his printer and what I like about this printer is it has a larger build volume (roughly 9″ in X and Y and 12″ in Z). It also seems to print a little faster than the Cube. This printer relies on the Cura software for controls. The Cube software does not give the user as many options controlling the print as Cura. What I don’t like about this printer is that it only has a single extruder. Both the Cube and Ultimaker are using what is called FDM technology. This technology melts a roll of material to build up a part layer by layer. Actually all 3D printing builds layer by layer. But FDM has a pretty large layer line. Look at this photo of a 3D printed latch that was made on my Cube. You can see the lines that make up each layer of the part and this is what an FDM part always looks like. However, there are other methods of 3D printing. Another popular method is called SLA (stereolithography). This technology works by using a laser to change liquid resin into a solid layer. SLA has layer lines as well, but the lines are so fine that you almost cannot see it. I believe my next 3D printer could be an SLA printer. The part quality is so much higher than an FDM printer. However, the printer itself and the material is more expensive than a FDM printer. But the costs are constantly going down with advances in technology. My summary is that it is hard to define what the best 3D printer is. There are so many tradeoffs between build size, part quality, options (like single or duel extruders), and cost (SLA versus FDM for example). I hope my article here gives you some insight into a few 3D printers out there as well as some of the features. PreviousPrevious post:Creating Content Online to Diversify Your Income StreamsNextNext post:Is Macbook Pro 13-inch with retina display good for mechanical engineering? Running programs like AutoCad, Solidworks, CATIA, ANSYS? In view of these lapsing licenses, numerous new organizations and innovation have been permitted to be created and sold. Things are changing quickly at this moment, and it appears like regular there is a superior 3D printer accessible for less cash. I have experience going back to 2007 with 3D printing, yet I just obtained my initial 3D printer around 1 year prior. I ran with the Cube 3D printer since it was showcased as the most effortless to utilize and I trusted it. What I have discovered is that every one of the 3D printers have an expectation to absorb information and that 3D imprinting as a rule is not “attachment and play”. It took me around 1-2 months to get my Cube to print legitimately. What I like about it is that it has duel extruder, so it can print in 2 hues in one employment. Alternately I can in one shading and utilize the other extruder to make the backings. This printer additionally has a water soluable bolster material. This means when the print is done, I can just place the part in a can of water and the backings will wash away in 60 minutes. Contrast this with a solitary extruder 3D printer, where the bolster material and fundamental material are the same. For this situation, you need to physically evacuate underpins, which can be a troublesome and tedious procedure. What I don’t care for about this printer is that the manufacture volume is just 6 inches cubed and the material is overrated (in light of the fact that you need to purchase extraordinary cartridges). I agree with all your points on the Cube. The main downside is the cost of material. Actually, lately for us, we have been having issues with the bed being level. We have just purchased a Fusion3D printer and can’t wait to receive it. We have read great reviews on it and I’m looking forward to the large build volume.